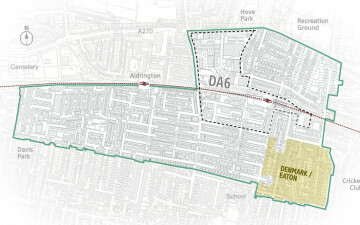 Articles about the south west corner of the neighbourhood plan area. Denmark Villas Conservation Area, high-quality terraces, semi-detached and large villas and apartment blocks. Good quality urban environment with wide tree-lined groves and excellent access to services. 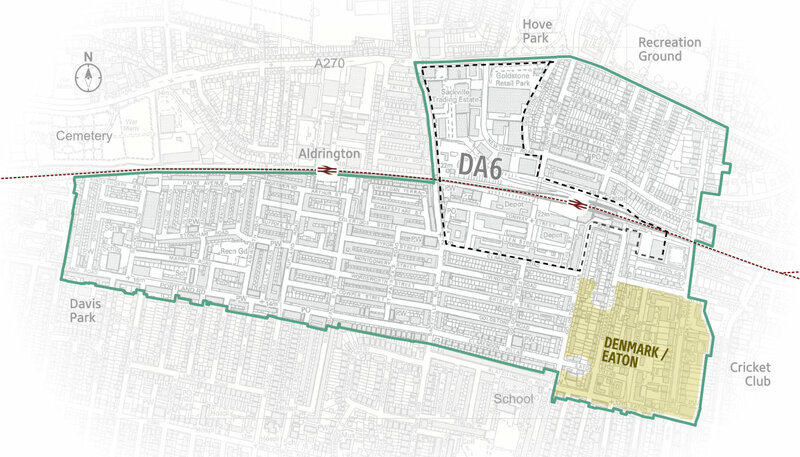 The area has excellent walking distance access to Hove Station and residents would benefit from the improvement of the Hove Station Community Hub. Issues for the Neighbourhood Plan: limited streetscape and energy efficiency improvement, plus renewable energy generation.